Our goal is to continue accurate record keeping. Recognize 50 year and 75 year members. 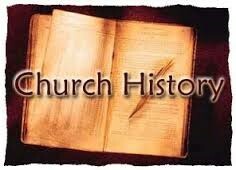 Encourage our church historical interest. - Record keeping of historical events happening yearly. - Continue celebration of our church as our church building will be 90 years old in September of 2019 and worthy of recognition in our church family and community. Everyone is welcome. We are always looking for new people.